Heritage Week, now in progress, opens various little-known attractions to the public. These include a series of mysterious tunnels built by Francis Caulfeild, 1st Earl of Charlemont (1728-1799) underneath the lands in the vicinity of the Casino at Marino in Dublin. 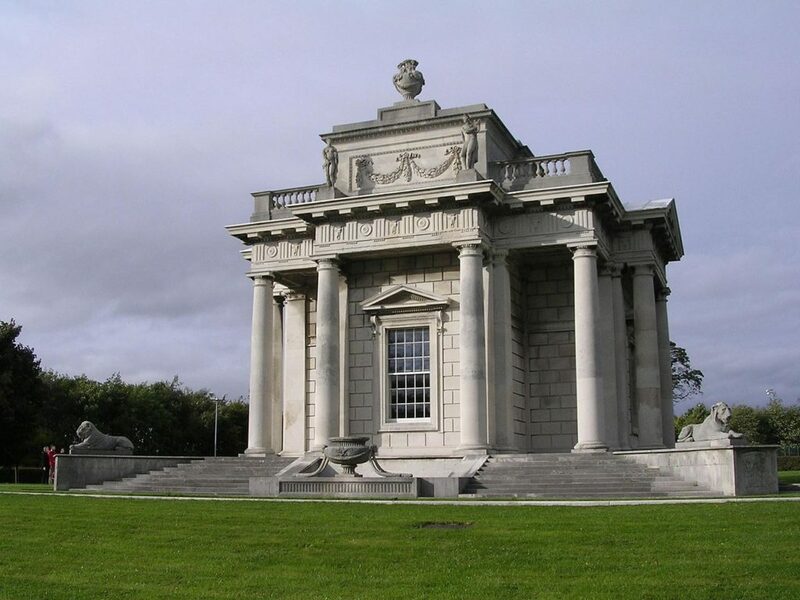 The Marino tunnels, used by the IRA for firing practice during the War of Independence, may be visited at set times (http://casinomarino.ie). Marino House is gone and most of the parklands built over, but the exquisite neoclassical Casino and the secret tunnels remain. The Irish Times of 19 August 2016 posited a suggestion as to why Lord Charlemont had the tunnels constructed: ‘His personal physician, Dr Charles Lucas, had also written a treatise on the health-giving benefits of water, so he was probably following instructions when he built the tunnels’. It is true that Lucas was a great believer in the medical benefits of water and bathing and wrote a three-part treatise entitled An Essay on Waters (London 1756). However, an emphasis on subterranean bathing is not evident in Lucas’s voluminous publications. Perhaps the classically-influenced Charlemont, who had visited Rome in his youth, was endeavouring to replicate the famous underground of that city, where baths, temples and other built-over constructs have survived. Charlemont was also a prominent member of the Society of Dilettanti, whose founder, Sir Francis Dashwood, of Hellfire Club notoriety, had a series of underground caves excavated between 1748 and 1752 near High Wycombe in England (http://goo.gl/szE1AV). It is not suggested that the more sober Charlemont indulged in the subterranean devil worship and orgies with which Dashwood’s name is associated. Yet the two men clearly shared a penchant for expensive tunnel construction, the reasons for which which are not entirely clear. This post was written by Sean Murphy who would be delighted to hear from anyone who may have ideas about the possible reasons that Charlemont had the tunnels constructed. His email address is sjbmurphy (at) eircom.net or just add a comment below.